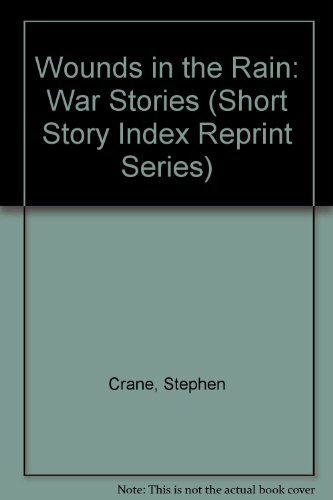 Stephen Crane (November 1, 1871 &#x2013; June 5, 1900) was an American poet, novelist, and short story writer. Prolific throughout his short life, he wrote notable works in the Realist tradition as well as early examples of American Naturalism and Impressionism. He is recognized by modern critics as one of the most innovative writers of his generation. The ninth surviving child of Protestant Methodist parents, Crane began writing at the age of four and had published several articles by the age of 16. Having little interest in university studies, he left college in 1891 to work as a reporter and writer. Crane's first novel was the 1893 Bowery tale Maggie: A Girl of the Streets, generally considered by critics to be the first work of American literary Naturalism. He won international acclaim in 1895 for his Civil War novel The Red Badge of Courage, which he wrote without having any battle experience. In 1896, Crane endured a highly publicized scandal after appearing as a witness in the trial of a suspected prostitute, an acquaintance named Dora Clark. Late that year he accepted an offer to travel to Cuba as a war correspondent. As he waited in Jacksonville, Florida, for passage, he met Cora Taylor, with whom he began a lasting relationship. En route to Cuba, Crane's vessel the SS Commodore, sank off the coast of Florida, leaving him and others adrift for 30 hours in a dinghy. Crane described the ordeal in &quot;The Open Boat&quot;. During the final years of his life, he covered conflicts in Greece (accompanied by Cora, recognized as the first woman war correspondent) and later lived in England with her. He was befriended by writers such as Joseph Conrad and H. G. Wells. Plagued by financial difficulties and ill health, Crane died of tuberculosis in a Black Forest sanatorium in Germany at the age of 28. At the time of his death, Crane was considered an important figure in American literature. After he was nearly forgotten for two decades, critics revived interest in his life and work. Crane's writing is characterized by vivid intensity, distinctive dialects, and irony. Common themes involve fear, spiritual crises and social isolation.